Manual Or Automatic: Which Is Best For Driving In London And Surrey? Home > Automatic Cars > Manual Or Automatic: Which Is Best For Driving In London And Surrey? 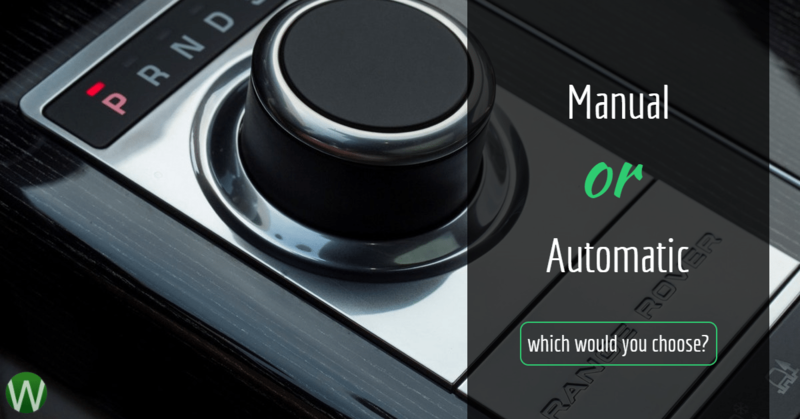 15 Nov Manual Or Automatic: Which Is Best For Driving In London And Surrey? There are advantages and disadvantages to using a manual or an automatic car, and making the choice between the two should come down to the different benefits each bring, your driving style and the area in which you drive. There are differences in driving in the country and driving in the city, so you should use the environment you most regularly drive in to decide which gearbox is best for you. Below we’ve highlighted the differences in manual and automatic gearboxes to help you decide which is best for driving in London and Surrey. Many people who enjoy using a manual gearbox appreciate the more direct connection between the driver and the vehicle, as the driver chooses the gear changes. Some people, however, find manual gearboxes more stressful as they require the driver to think about gear changes and adjustments, which on top of obeying road signs and signals can be an added complication. Especially for new drivers, or those due to take their tests, people often find an automatic gearbox less complicated to operate, leaving them to concentrate on passing their test. Driving an automatic car often feels like a very smooth, streamlined process. The technology uses a hydraulic transmission to connect the gears to the engine, allowing you to move between drive, park and reverse modes seamlessly. Automatics require (as the name suggests) far less manual involvement from the driver, as the gear stick only needs to be handled at start, stop or reverse situations. One challenge with automatic gearboxes is that you aren’t in control over the gear change as quickly as an automatic, which could mean you end up driving around a corner quicker than you might like to. Both types of gear box have many advantages and disadvantages, and you should decide based on your own driving style which best suits you. For driving in London you’re probably best off choosing a manual car which will allow you to control your responses to regular changes in gear due to the volume of traffic, pedestrians, and traffic lights you must navigate. Driving out in Surrey, you’re probably better suited to an automatic car as you’re required to change gears less regularly and can maintain a consistent driving speed for longer. If you want support learning to drive so that you pass your test first time, contact Wimbledon Driving School today.